Modern homes are welcoming sunshine and fresh air through large windows a lot more often than before, but that doesn't mean your house made of glass can't look amazing from all angles. In fact, contemporary living means your house with glazed windows can be cosy and welcoming too. These 11 sensational houses are sure to help the design of your facade or influence your architecture perfectly. Let's see how you can decorate your house with a lot of glass and not compromise on privacy. The front of this house is made of glass, allowing or unprecedented views of the landscape and sunshine for warmth on a chilly winter day. 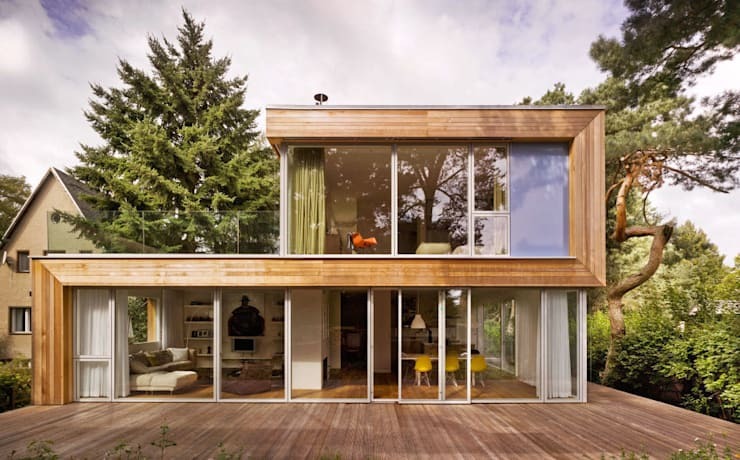 A prefab house with a glazed facade will fit in with nature, especially when wood is the major feature. It's harmonious and elegant enough for a homeowner that wants a dreamy living space. 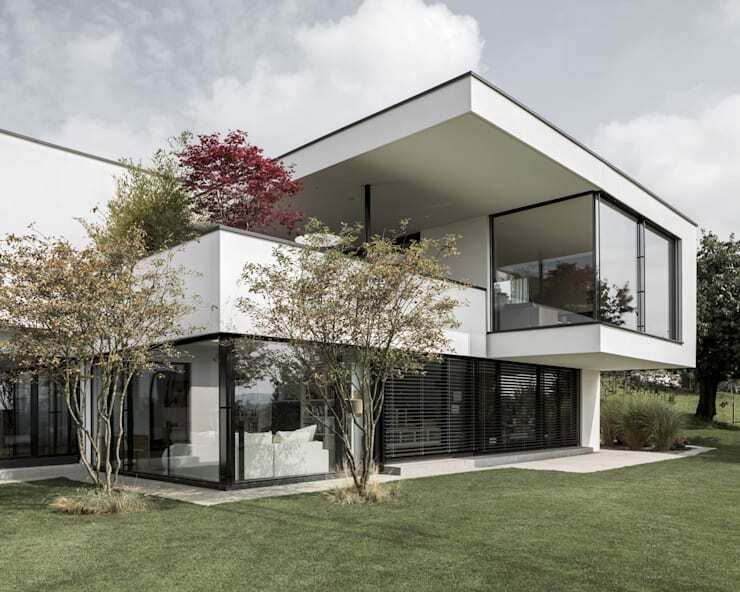 A total of 58 different window elements decorate the facade of this residential house, showcasing just how fabulous a house made with a lot of glass can be, especially when paired with black exposed concrete. 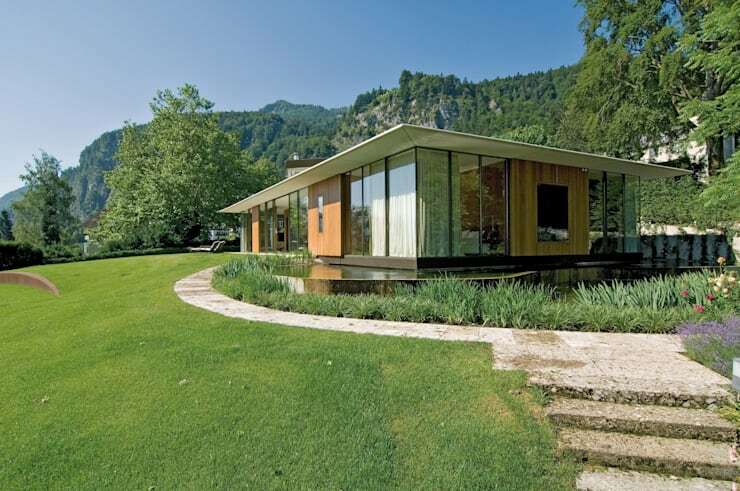 When we hear the term bungalow, we imagine an unattractive building. 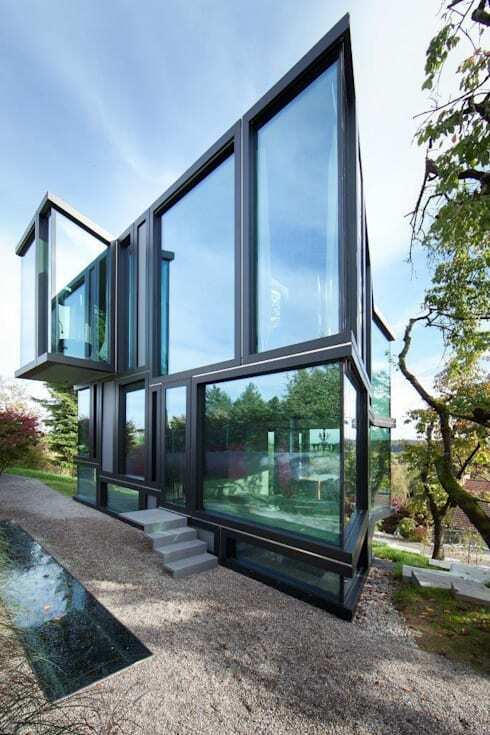 However, this modern house with glazed windows is cool and contemporary enough for a sophisticated family. Panoramic views of the city can be enjoyed from this double storey house with plenty pf glazed windows. The fascinating facade is not the only eye-catching feature of this original house, but the garden itself is just as gorgeous. The sights can be admired from the comfort of the living area through the glazed windows. You don't need to be restricted by old fashioned ideas for a house made of glass, this design takes the glass ceiling to new heights entirely. This concrete house is filled with space and sunshine and because it is made of glass, it has a welcoming and homely atmosphere. It's a sophisticated architecture option for a modern prefab house with a glazed facade. The double storey design maximises space, while the contrasting colour scheme is aesthetically appealing. Just because a house is rustic, doesn't mean it shouldn't welcome brilliant natural light, this house with a lot of glass is the best of both worlds when it comes to design and sunshine. 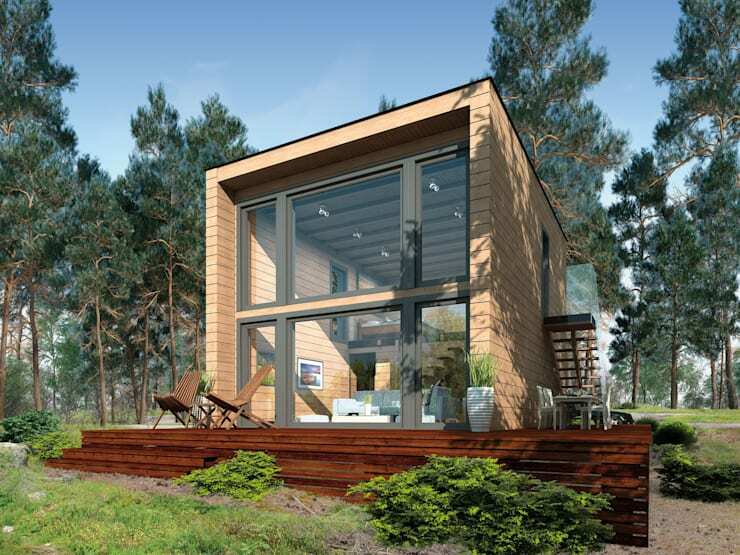 Our final modern house made of glass is decorated in wooden panels, allowing for a ecological adapted design and compact layout, fit for a holiday home just in time for summer. Here are 19 modern homes that South Africans love! Have you decorated your home with large windows?